Gentle Giant recently revealed their new San Diego Comic Con prototype Boba Fett mini bust. In early productions for The Empire Strikes Back movie, Boba Fett used to be white. 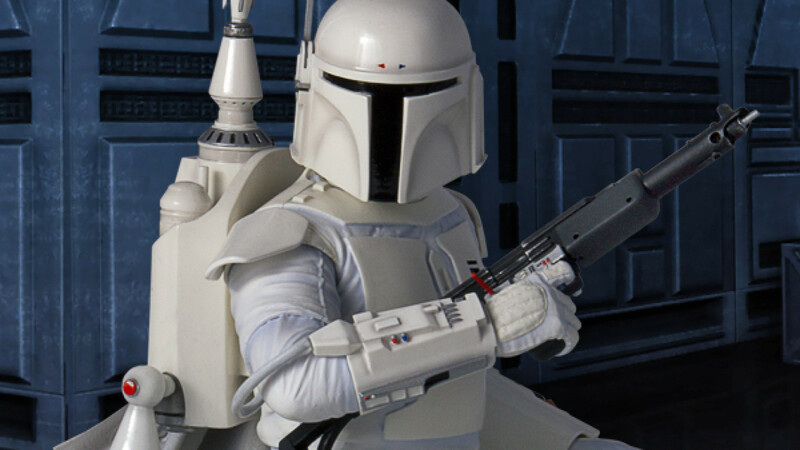 Now fans refer to this version as the “prototype” version of Boba Fett. This new Boba Fett will cost $120 and is exclusive to this year’s upcoming San Diego Comic Con event. If you are unable to attend the event and don’t want to pay crazy 2nd hand money for this mini bust, then become a Premier Guild with Gentle Giant and have an opportunity to order it now before it sells out.